Tracky, jackin house music with heavy roots and deep soul perfect for sweaty dance floors and summer underground parties. 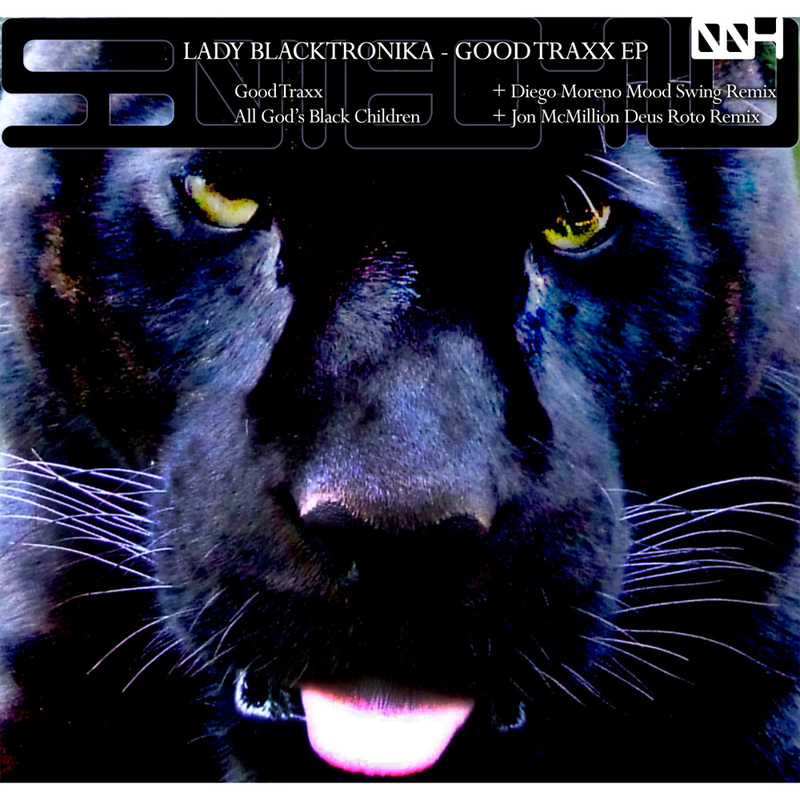 Lady Blacktronika, a northern California native dj/producer shows some love for the area that is her home by releasing 2 works of Chicago influenced house on 530Techno. The most memorable house tracks always mine the best samples, and Good Traxx and All God’s Black Children are no exception. Lady B is a master at finding and recording her own samples and tweaking them to perfection. Good Traxx gets a booty shakin acid electro rework by Barcelona based dj/producer Diego Moreno (Digital Delight/Sultry Vibes). Funky as all get out, drop Diego’s Mood Swing Remix and your dance floors will thank you. Seattle’s Jon McMillion (of Orac Records and NuEarth Kitchen) turns in a stellar deep house remix for All God’s Black Children. Lush synths and a new layer of his own vocals play off the message of the original sample, creating a thought provoking dance floor burner.